Stone Surface Specialists has an extraordinary high performance truck mounted system. We can extract problems that other companies would consider difficult. Our goal is to ensure a safe and healthy working environment for your home or office. We can custom fit any cleaning or restoration around your busy schedule. 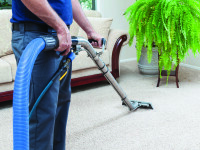 High Performance Portable Steam Extraction is another alternative that Stone Surface Specialists offers to keep your carpet looking pristine. We use only the most powerful portable system available. Stone Surface Specialists’ utilizes rotary extraction heads which gives you the best clean possible! Another example that sets us apart is encapsulation cleaning. Encapsulation is an ideal choice for customers in high-traffic or large commercial settings that need routine cleaning. The results are fantastic! Don’t settle for anything less than Stone Surface Specialists!